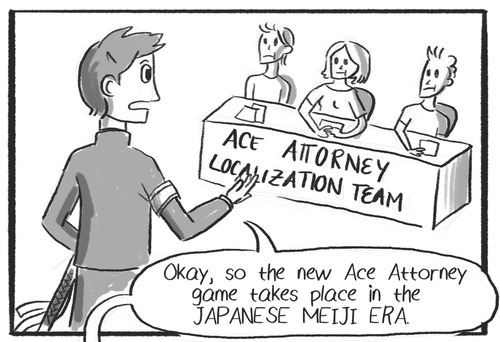 BREAKING: Details about New Ace Attorney Game Announced! All the latest details about the newest Ace Attorney game, Not Ace Attorney 6! Setting: Japan, Meiji Era. Have fun with that, localization team! This is the project that Shu Takumi was hinting at in the last Japan Nintendo Direct, for those curious. It will be on the Nintendo 3DS. 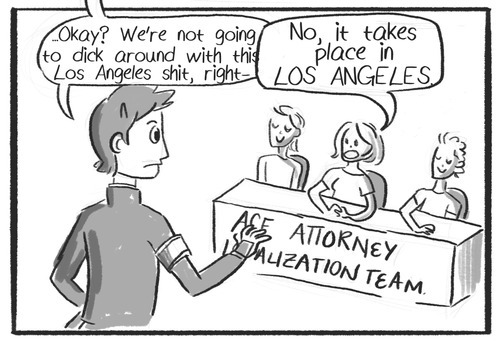 Worth noting, this is NOT AA6. 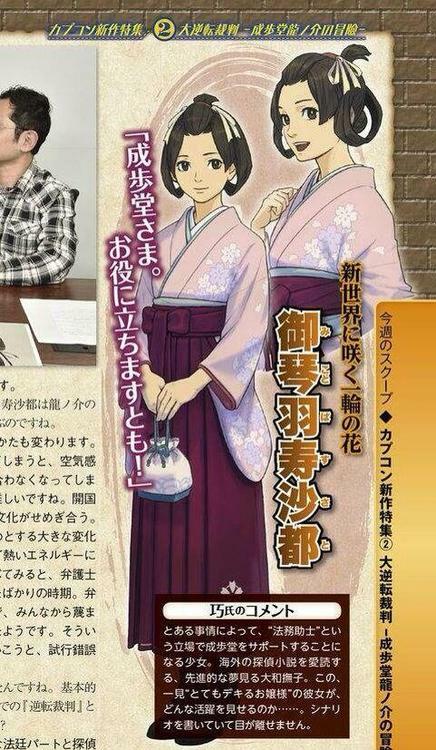 Yamakazi’s team is working on some form of an Ace Attorney game, but what kind? Main series? Investigations? No word on that yet. Takumi and his team are working solely on Dai Gyakuten Saiban at the moment, which effectively puts him out of the picture for AA6. 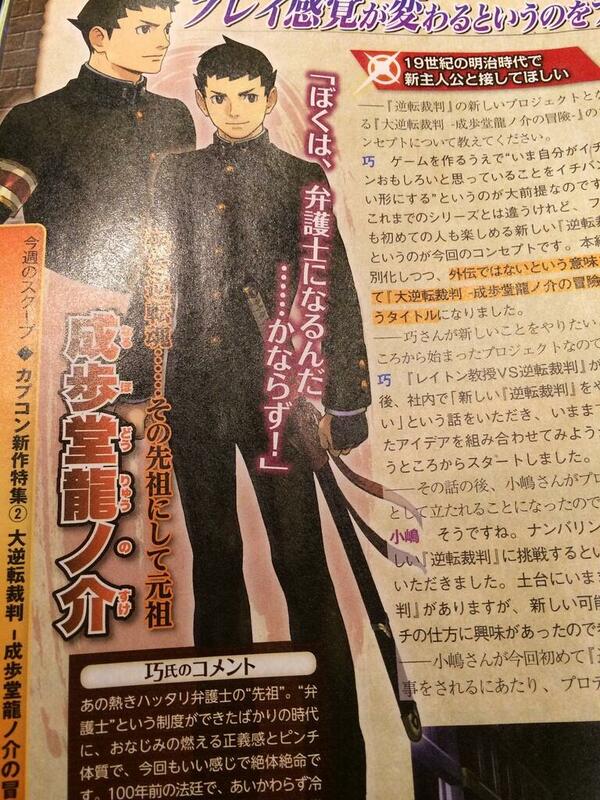 He stated that Dai Gyakuten Saiban should be considered as a part (albeit unnumbered) part of the main series. Our first look at the new protagonist! 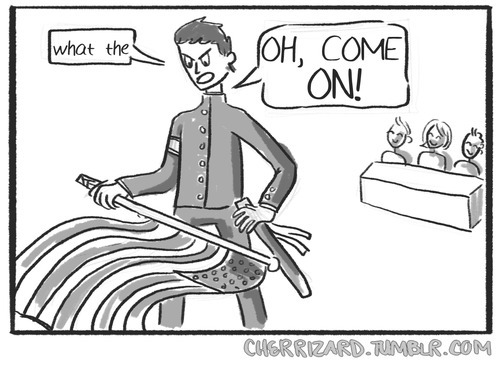 He has a sword. Obviously this is going to be some kind of origin story, as it’s set in the Meiji Era (1868-1912) and star an ancestor of Phoenix (hence the last name). He is described as “having a keen sense of justice and quick to put himself in danger”. He also has a sword. Which is cool. I guess they liked Blackquill’s samurai gimmick so much that they decided to make a game out of it. 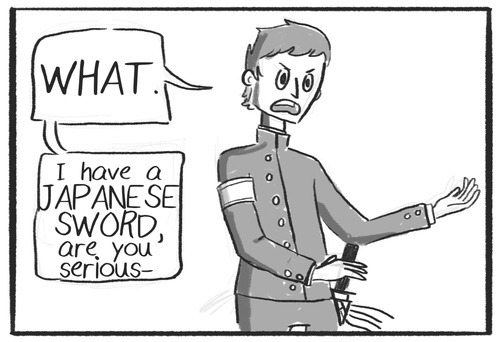 All I can say for now is, sounds intriguing, but localization will be difficult to say the least. And I can also tell you that of course, Tumblr is already on it. I’ll be sure to give you more details as they come! Until then, fangirl out! First look at the sidekick, Mikotoba Susato! She’s a judicial assistant, she loves foreign mystery novels, and she’s a “forward thinking dreamer”, whatever that means. Alright, for real this time, fangirl out! Haha, psych again! I’m back! That music! It’s beautiful! And the art looks nice too. But are you ready for even more good news? We here in the West will be getting this game…at the same time as Japan! Yes, go ahead and read that again: at the SAME TIME as Japan, July 2016! I am so ready, as I’m sure are you, my faithful followers. Fangirl out! At least watch it for the silly accent.